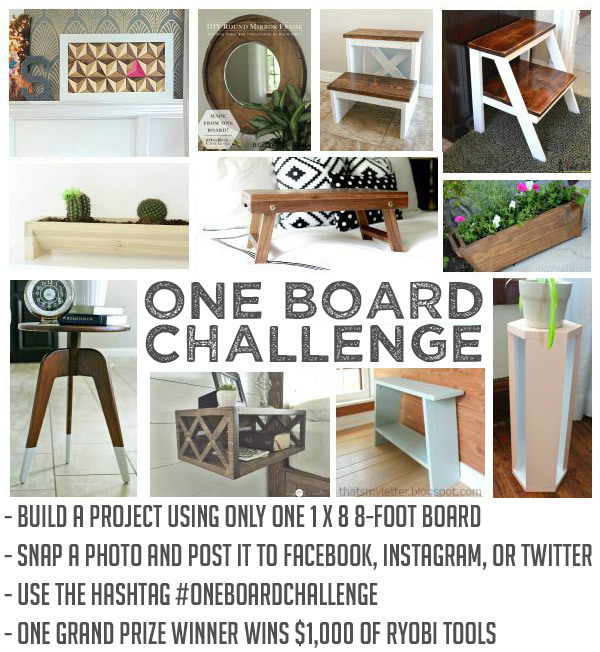 One Board Challenge - Your Turn to Win! I am so excited for this announcement! Back in July, 16 of my best builder buddies and I took part in a One Board Challenge, hatched up by my good friend Jen Woodhouse. The idea was for us to come up with the best project we could, utilizing a single eight foot, 1 x 8 board. 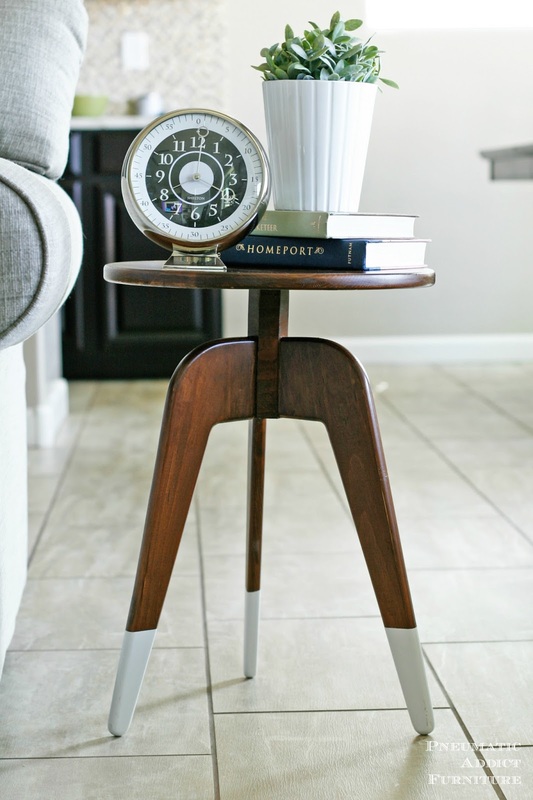 My submission was a modern, three leg end table and remains one of my favorite projects I've ever built. We had some much fun with this challenge, we decided to open it up to you guys! I want to see what you can create. Want a little incentive? Our friends at RYOBI will be giving one grand prize winner $1,000 worth of RYOBI tools to outfit his/her workshop! Build a project using only one 1×8 8-foot board. Any wood species is permitted. Fasteners, glue, paint, finish and any other design element (like leather, metal, etc.) are permitted, but please limit your lumber to just the single board. Build your project according to the rules above, snap a photo, and post it to your Facebook, Instagram, or Twitter accounts and use the hashtag #OneBoardChallenge. If your social media accounts are private, you can email me and I can submit on your behalf. Winner will be announced October 26th. ONE GRAND PRIZE WINNER WILL WIN $1,000 OF RYOBI TOOLS! I had so much fun with this challenge. I can't wait to see what you guys come up with! If you need a little inspiration, check out the other awesome projects my friends came up with. Have fun, be safe, and good luck!